Small plant of the mountain meadows with a height of 5 to 30 cm and 7 to 14 foliage leaves which are grass-like and green. In the beginning of the rather short flowering time, the dense inflorescence has a conical form. Later it is more rounded and mostly hemispherical. The inflorescence consists of 20 to 75 flowers. Their labellum is directed upwards – there is no resupination, i.e. the turning of the lip while the bud is opening. The lateral sepals are spreaded to the sides, the medium sepal and the petals are directed downwards. The edges of the bracts at the lower side of the inflorescence are red-brown with minute papillae. Linné named it Satyrium nigrum (1753). 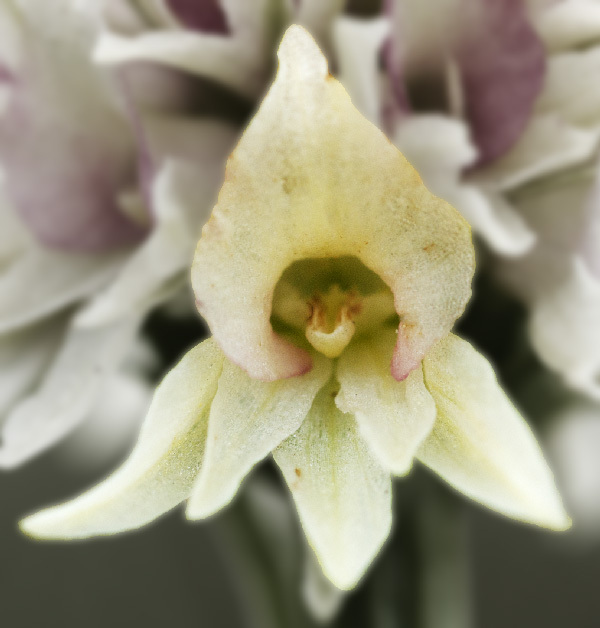 In 1851, Heinrich Gustav Reichenbach described it as Nigritella nigra in Xenia Orchidacea. Beiträge zur Kenntniss der Orchideen. 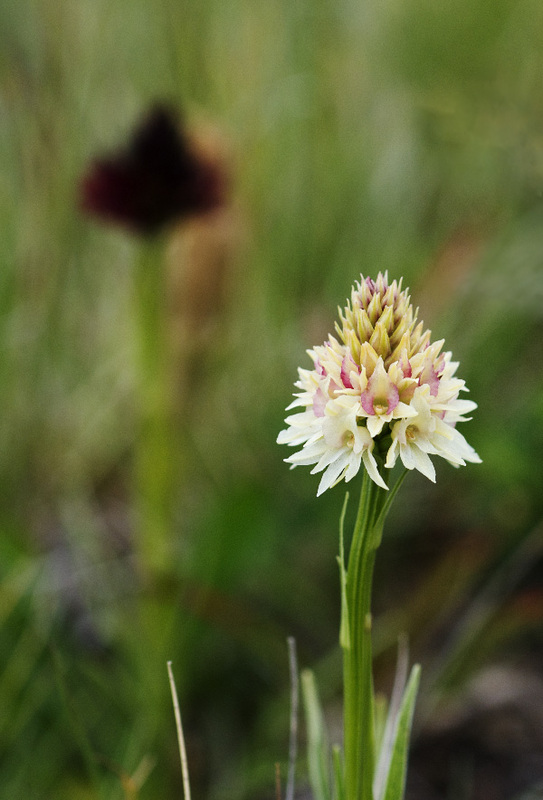 Already at the end of the 19th century, some botanists put Nigritella to Gymnadenia, while others argue that the genus should be kept separately. Since the first description of Nigritella nigra was based on Scandinavian plants which are quite different from the alpine plants, Herwig Teppner and Erich Klein described the alpine Nigritella nigra as Nigritella rhellicani – thus honouring Johann Mueller from Rellicon who described the plant in 1536 in a poem as Christi manus (Christ’s hand). 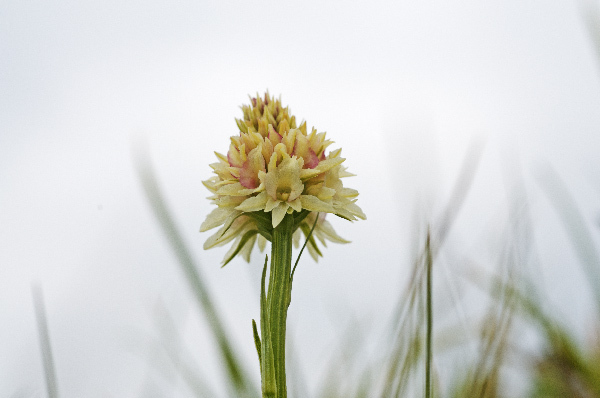 Due to its close relationship with the Scandinavian Nigritella nigra, Baumann, Kuenkele and Lorenz have described the species as Nigritella nigra subsp. rhellicani (2004). The flowers of Nigritella rhellicani are dark red. In contrast to other Nigritella species like Nigritella rubra, Nigritella rhellicani is being fertilized by insects which opens all options of evolution. In the Southern Alps there are different colour varieties which have been described as lus. rosea, lus flava, lus. pallida or lus. alba. 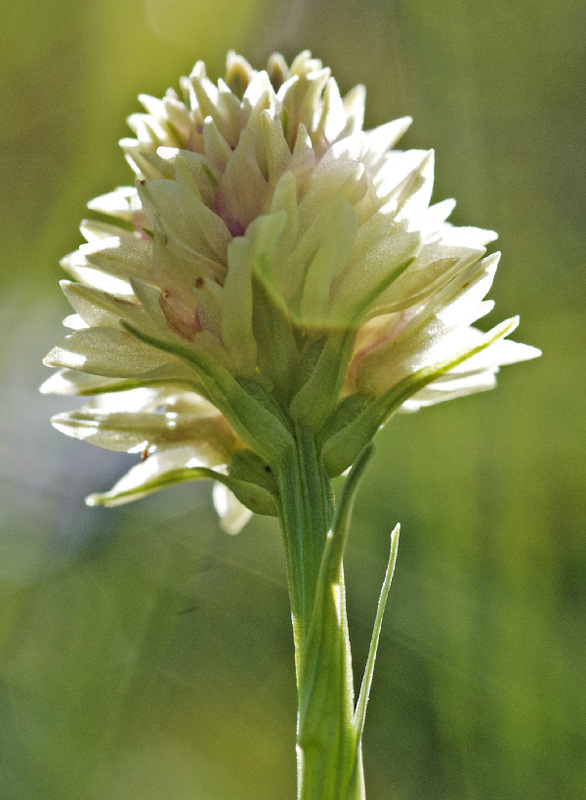 Nigritella rhellicani grows on alpine meadows in altitudes from 1000 to 2800 metres. Bloom is from June to August. The species can be found in many parts of the Alps, in the Northern Appenine Mountains and in the Balkan mountains.